Whether traveling for a luxury vacation, business, or special event, our Slovakia jet charter brokers can arrange a private flight to/from anywhere in Slovakia and neighboring areas. Travel to Europe using our Slovakia private jet charter service and arrive in style. Slovakia is a country located in central Europe surrounded by Hungary, Ukraine, Austria, Poland, and the Czech Republic. Experience local culture, historical architecture, religious sites, museums, and monuments during your stay. 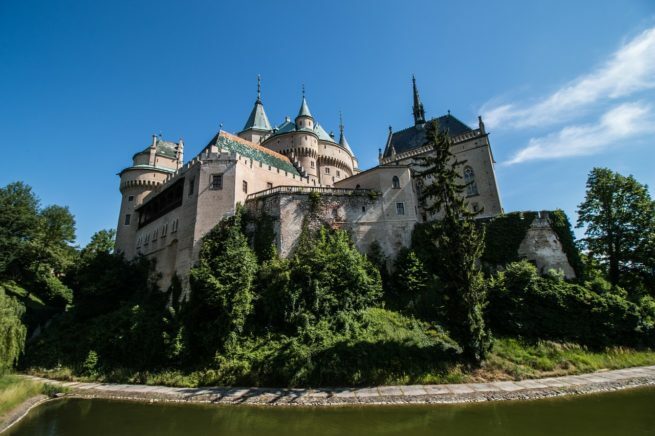 Many of our Jet Charter Europe clientele choose Bratislava (Slovakia capital city), Kosice, and Poprad as their top travel destinations within Slovakia. The peak of tourism is during warmer summer months June to August, although Slovakia does receive visitors throughout all seasons. Winter months December to March receives heavy tourism from travelers seeking to enjoy outdoor winter sport related activities (Skiing/Snowboarding). The ideal time to visit Slovakia depends on the type of activities you have planned for your trip. Whether looking to ski, hike, site-see, or relax, destinations within Slovakia can provide the perfect settings for any activity. Request a Quote or give us a call at 1-888-987-5387 to speak with one of our Slovakia private jet charter service brokers for your next luxury vacation, business trip, or special event.